The sudden passing of Tupac and Biggie has immortalized them forever. Talented men gone too soon. 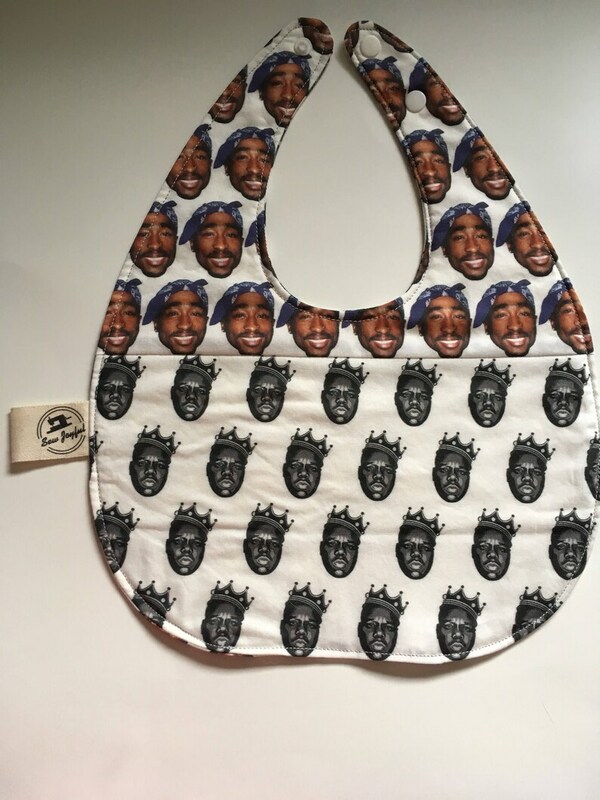 This baby bib is perfect for any music fan, rap lover or that unique couple who like a little something different. Made with fabric I designed using Spoonflower.com, bamboo blend quilters batting and plastic Kam snaps. This bib is very absorbent, adjustable to grow with baby and reversible.